Welcome back adventurers! You’re looking a little more battle-scarred and singed by fireball, but it’s lovely to see you back! Plonk yourself by the fire. 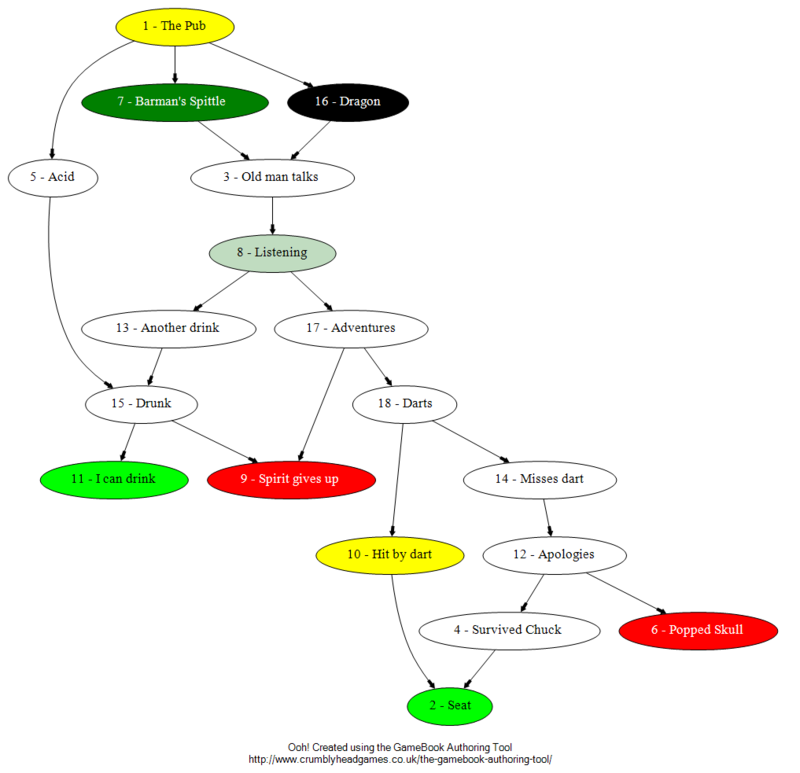 GBAT 1.4 is out, and this is all about the graph. You can now fill in a section with whatever colour you can dream of. The text colour will automatically adjust itself so it can still be read. You select a colour after picking a section using the section properties. You define a colour in hex rgb format. If you have no idea what that means, don’t worry. There’s a drop-down menu with a few predefined colours for you and you’ll be able to tweak them from there. This should help you colour code your sections and help you organise a little better. Graphs now look a lot curvier and prettier. 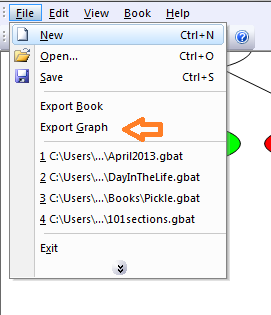 You can export your graph to png, bmp and gif formats! It’s our goal with every new release to always be fully compatible with the previous version, because we always want you to be using the latest and greatest version. There’s more imps. We’ve squished a couple of buglets and we’ve made things prettier. Book properties have moved to an easier location (unselect a section to see them) and put some handy messages on the status bar. So there you have it! Download, enjoy and go off to create, beautiful writers.